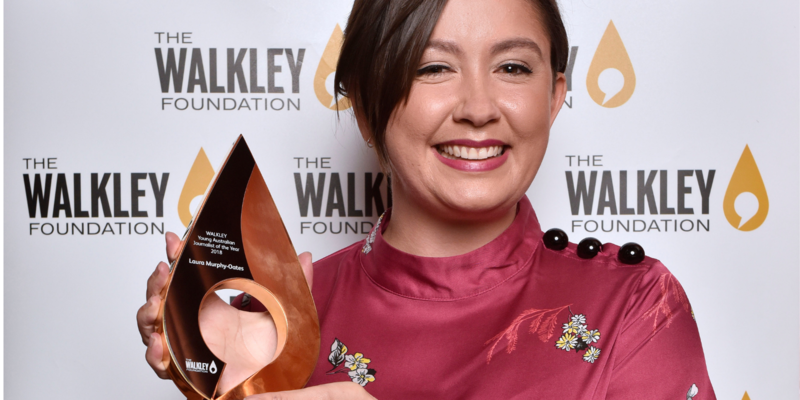 SYDNEY — The Walkley Foundation tonight announced winners for this year’s suite of mid-year awards. Peer-judged and selected on the basis of journalistic excellence, the Mid-Year Awards encompass seven awards, including the Young Australian Journalist of the Year Awards, as well as the Jacoby-Walkley Scholarship, the Arts Journalism Awards and the Women’s Leadership in Media, Freelancer of the Year and Industrial Reporting Awards. The announcement took place at The Beresford in Sydney. SBS journalist Laura Murphy-Oates was crowned as the 2018 Young Australia Journalist of the Year, winning a 2-week trip to US newsrooms. The Walkley Advisory Board, represented by Angelos Frangopoulos, Lenore Taylor, Simon Crerar and Claire Harvey, was unanimous in naming her as winner. You can view photographs of the Mid-Year award-winners in our Facebook album. Media assets are available here – including high-resolution images of the winners, their bios and the judges’ comments. Thanks to the support of the Jibb Foundation, Laura will fly to the USA to undertake two weeks’ worth of work experience with BuzzFeed, The New York Times, Columbia Journalism Review, Twitter and Quartz. All category winners will also receive mentoring from senior journalists.